The first Chapel was destroyed in the 1907 earthquake. The existing building was dedicated by the Most Rev. Enos Nuttall in 1912. 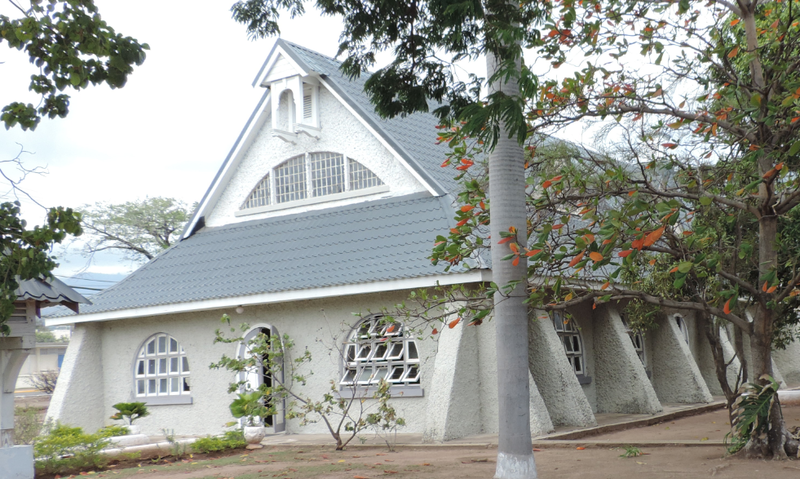 The Chapel is built to accommodate 500 persons. 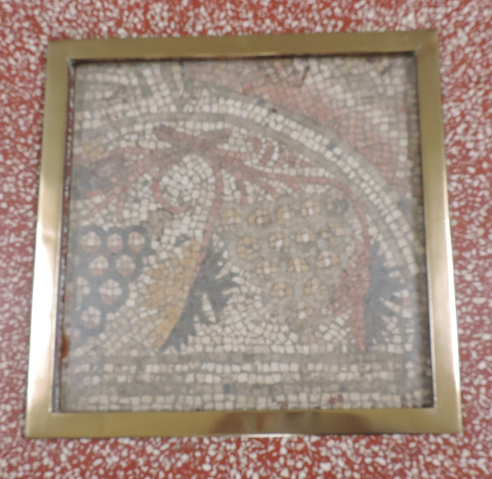 This fragment of mosaic formed part of the pavement of a Synagogue near Jericho Palestine dating about the Fourth Century A.D. It was unearthed by a turkish shell during the Great War 1914 – 1918. 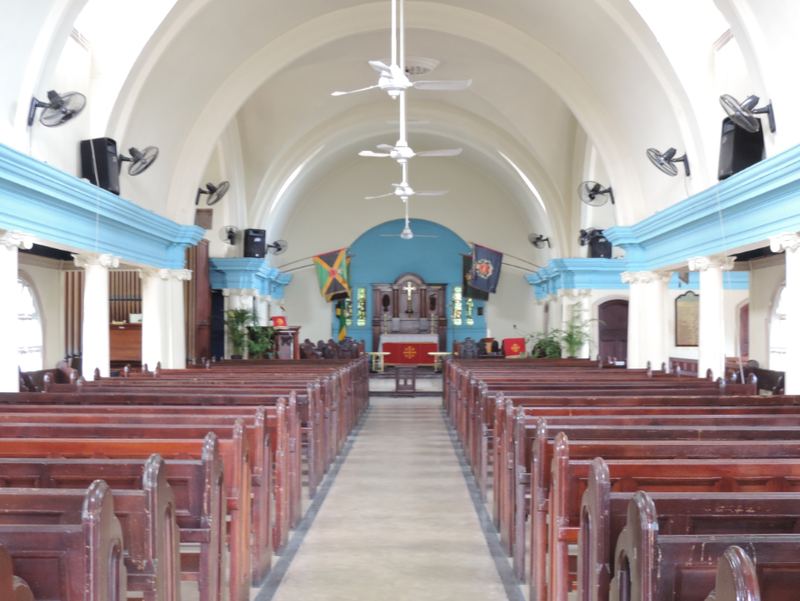 It was preserved and presented to the Church by Captain A. M. Furber – The West India Regiment. In memory of Major Hugh Dudley CARLETON D.S.O., of the West India Regiment. Died 09 Aug 1906 age 40. In the year 1914 the four windows now in the sanctuary of this Church were presented by Colonel Barchard and Officers (2nd Bn. West India Regiment) to replace that destroyed in the earthquake of 1907. In memory of the Officers, Non Commissioned Officers and Men of the 2nd West India Regiment who were killed and died from the effects of wounds received in the Ashantee War of 1873-4. In proud and loving memory of Arthur Worsley BLACKDEN, 2nd Lieutenant – Royal Field Artillery, eldest son of Brig. General Blackden. He was killed in action at the battle of the Somme on the 28 Sept 1916, aged 18. The Children’s Chapel is dedicated to the Greater Glory of God and to the memory of those Officers, Soldiers and Families who were lost at sea on 2nd February 1953 in Air trooper JA/20 while travelling from the United Kingdom to Jamaica in the Service of God and Country. In memory of Phyllis CAWS. Born 1899. Died 04 Jan 1968. An ardent worshipper and a faithful Superintendent of Sunday School in this Church for many years. In memory of Captain Hugh Frederick WHITMORE and Lieutenant Walter John GOLDSMITH who died while serving with the 1st BN. The Manchester Regiment in Jamaica. In memory of Corporal Russell Keith DAHMS; Lance Corporal Victor Newton RICE; Fusilier John GOSSEN; Fusilier Arthur William BRADNAM; Fusilier Howard Leo VEZINA. 1st BN IRISH FUSILIERS (Vancouver Regiment) C.A. The FIRST Non-European Soldier to receive the Victoria Cross. The award was made for gallantry on the 30th June 1866 at the attack on Juabecolong, West Africa, when he volunteered to assist in hewing down a stockade under fire and so enabled our troops to enter the town. In memory of Serjt. William James GORDON. V.C. The SECOND Non-European Soldier to receive the Victoria Cross. The award was made for conspicuous gallantry and devotion to duty on the 13th March 1892 at the attack on Tonitaba, West Africa when he was severely wounded in saving the life of his Commanding Officer. To the Glory of God and in memory of the above mentioned Officers, Non-Commissioned Officers, Men, Women and Children of the 2nd Battalion West India Regiment who were killed or died from injuries received in the earthquake of the 14th January 1907. 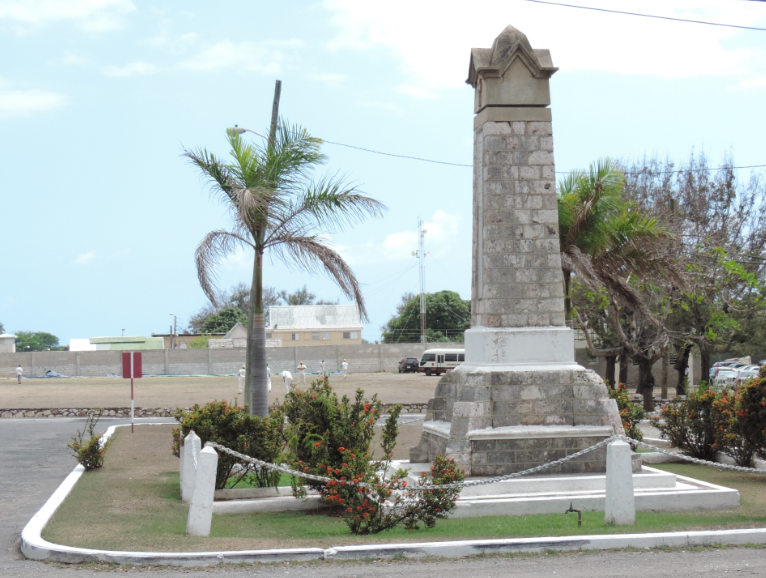 This memorial is erected by past and present Officers and W.O.’S., N. C. O.’S and men of the West India Regiment.